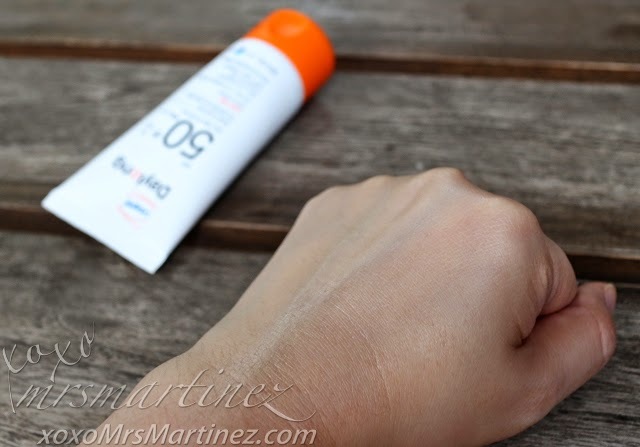 I have stopped using sunblock protection over a year ago. Why? Because most of the sunblocks I tried do not blend or work well with the makeup I am currently using. 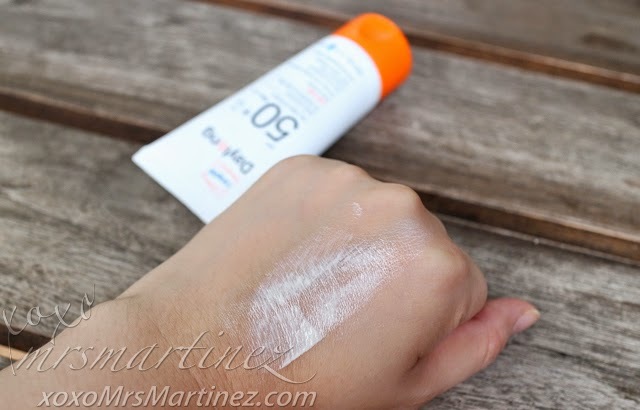 Since most of the makeup products I used have SPF, I figured I won't be needing a separate bottle of sun protection, right? Wrong! I only realized that I was wrong when I noticed prominent lines started appearing outside the corners of my eyes (popularly known as "crow's feet"). Yes, wrinkles are beginning to form as a sign of skin aging. How to avoid getting crow's feet? The answer is you CAN'T! It is unavoidable unless you don't laugh or frown for the rest of your life. 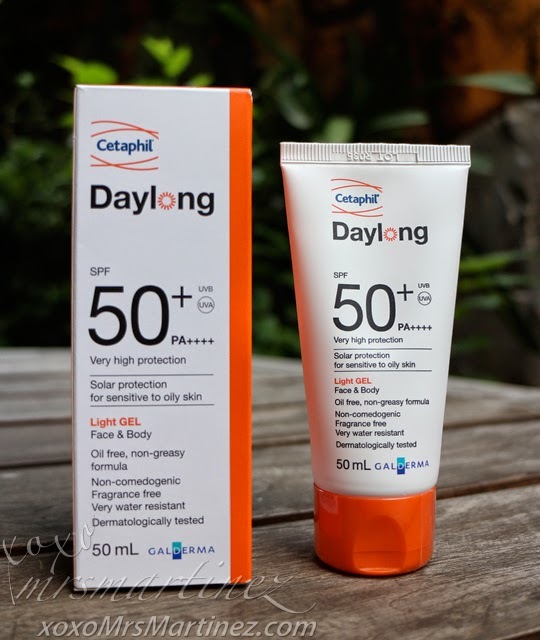 You can keep it from progressing further and reduce or delay its appearance by avoiding sun's harmful UV rays and protecting yourself with the help of a reliable sunblock with high SPF. 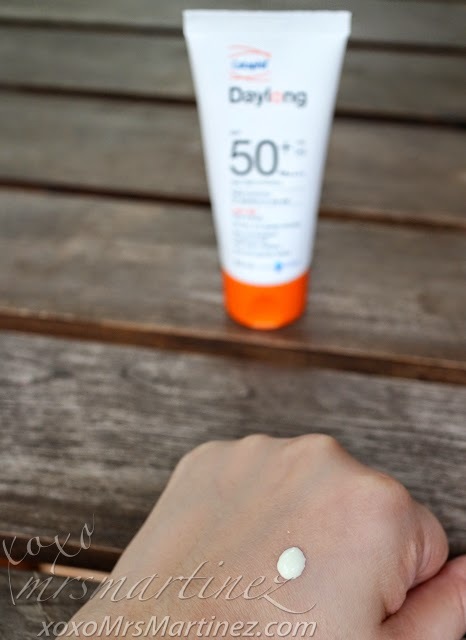 When we exposed ourselves to sun's harmful UV rays, our skin loses elasticity that's why it is very important to apply a sun protection at least 20 minutes before sun exposure. I can even wear it alone like today, I went to the mall, barefaced. It does not leave white streaks so it's perfect for my no-makeup look peg! It was so liberating! My face does not feel dry, heavy nor itchy. I love that it is oil free and its non-greasy formula. One of its main ingredients is Tocopherol or more commonly known as Vitamin E which nourishes the skin. That's a good plus if you ask me! 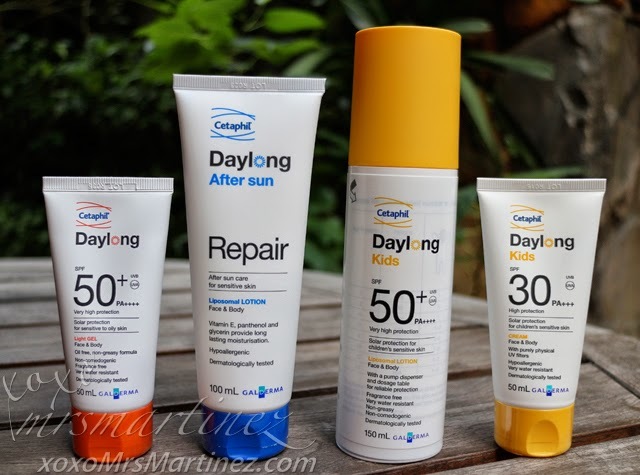 Cetaphil Daylong After Sun Repair Lotion for Face & Body soothes sun exposed and sun damaged skin. 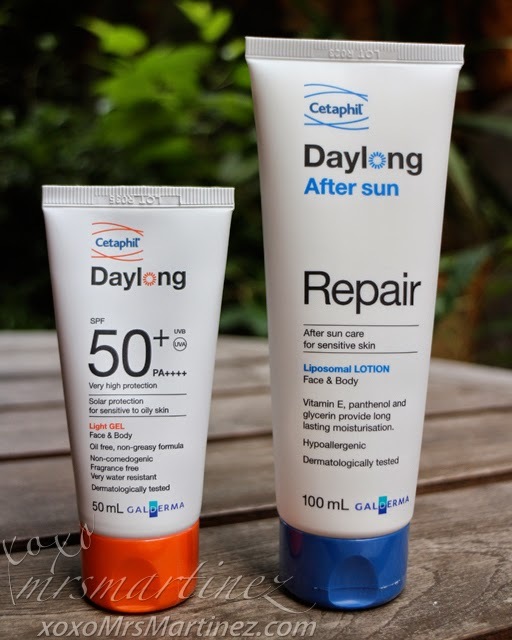 The cooling and nourishing lotion contains a liposomal formulation which supports the body's own repairing mechanism for sun damaged skin. 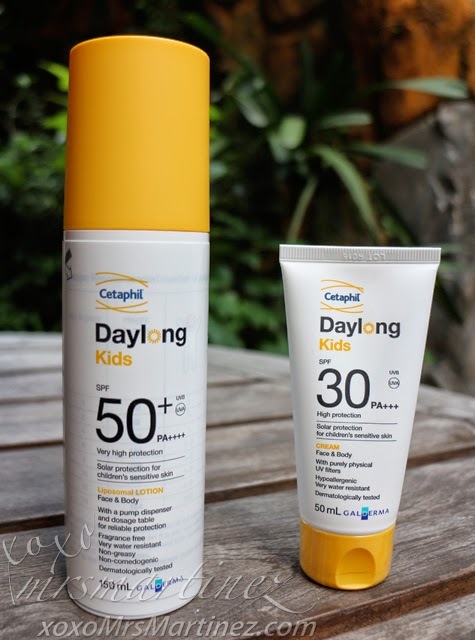 Daylong Kids line is for children age 1 and up. I have not tried it on my daughter so I am reviewing this set in a separate entry. 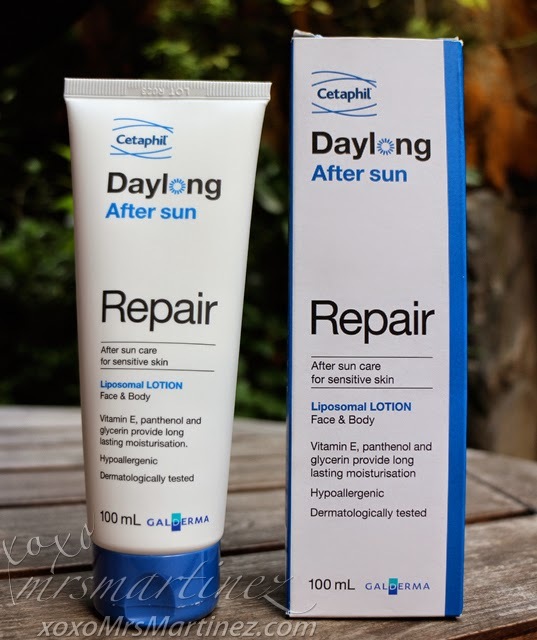 Daylong Philippines is available in all Watsons, SM Department Stores and Mercury Drug. You can also sign up with Sample Room to get a free sample product!